A Q&A with Bend craft brewer John Glick. Performance reviews have been deep-sixed at Ninkasi Brewing Company. 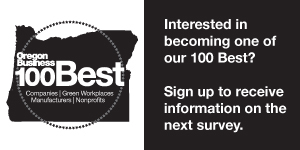 Cheryl Collins, Eugene-based Ninkasi’s chief people officer, shared this bit of news with a capacity room at the Oregon Manufacturing Extension Partnership (OMEP) summit held in April. People gasped and hands shot into the air. How is that possible? How is that working? Oregon's unemployed drained more than $318 million from the state's unemployment insurance trust fund in fourth-quarter 2008, as the number of claimants rose to 105,451 by year's end. Delap LLP, one of Oregon’s largest local accounting firms, has announced the formation of a new executive leadership team. Legislators resolve impasse over Oregon's Health Exchange and Early Learning Council bills. Fort George Brewery in Astoria celebrated the end of a yearlong, million-dollar project to launch their beers statewide with a special Lager off their new canning line.